He was the High King of Britain, who pulled Excalibur from a stone. He slew dragons, saved maidens, and quested for the Holy Grail with his fierce and loyal Knights of the Round Table. Ride with him. Fight with him. Quest with him. 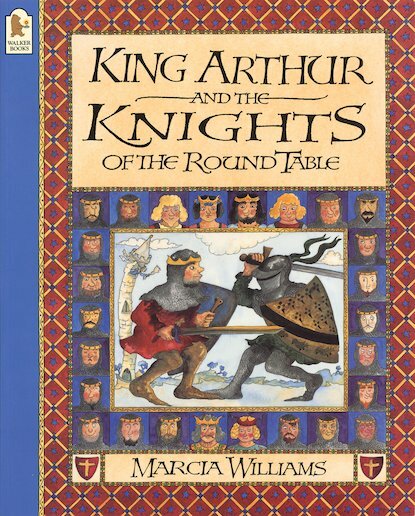 Join Lancelot and Galahad at the Round Table. Be a hero and read the comic strips! You can’t help but loving the stories of King Arthur and his Knights! They are full of adventure, heroic deeds, and magic. So much fun! I liked this because the stories were really great! My favourite knight is Sir Galahad. The pictures are also really nice.